Well, not really Spring. The start of Spring is next week, but this last swell felt like it had the first green shoots of the season like tulips popping up through the dirt. 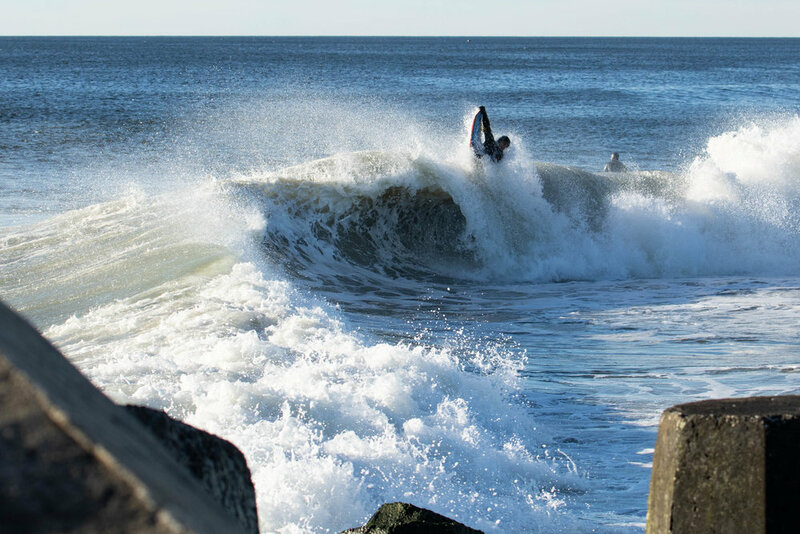 I found a vantage point from this iconic Northern Jersey surf spot. We checked here first, then went somewhere else, then came back. Funny how that happens. The wind was lighter in the early morning. And the swell angle was more from the South. Shooting during golden light feels like a gameshow clock running down. You scramble to get the perfect photos. The sun is moving faster in the beginning when it’s the closer to the horizon. As the morning goes on, the light gets less and less interesting. It’s all surprisingly tense, yet serene. More than a couple gems were empty.